Lots of announcements this week! Be sure to read through for house news, upcoming assessments, and highlights! Field Study to Columbiana Center--Rescheduled for October 23rd! Due to school cancellations last week, we decided to push back our field study to Columbiana Center by a week. We will now be going on this field study on October 23rd. As of now, only about 1/2 of 7th graders have turned in permission forms and payment. All permission forms must be turned in by Wednesday, October 14th! Click HERE to print another form. Thank you to the numerous parents who have volunteered to chaperone! We will be sending you more information soon! Your 7th grade school counselor is Ms. Myers and you can reach her at dmyers@lexington1.net or 821-0686. Mrs. Long works with our special need students, RTI and ESOL students. You can reach her at Aalong@lexington1.net or 821-0619. Gator Tales Yearbook Staff Need Your Help! The yearbook is in need of any photos from the flood last week. We would like pictures of flooded areas as well as pictures showing students/families volunteering time to help with flood relief! Please email them as soon as possible to: aroberts@lexington1.net. 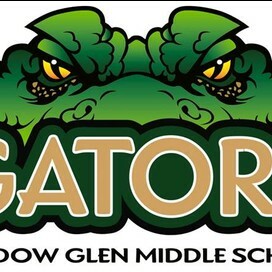 Reserve your copy of the 2016 MGMS Gator Tales yearbook! The cost is $55 through October 30! Click HERE to order. Check with your child's teacher if you have questions! Math: *Rational Numbers Retake-Round 2 on Friday, October 16. ELA & Accelerated ELA: Students will begin reading our expedition anchor text, Lyddie, this week. No assessments this week but be on the lookout for homework assignments in Schoology. World Language Novice C1: Summative 9.2 IPA next week (iMovies due by this Friday).